If you want to close your bank account because you are moving or you no longer use it, you must clear and close your bank account. Even if you want to use all your money, it takes careful consideration to figure out how much money is in your account to clear. View your most recent bank statement. Look at how much money is in your bank account. 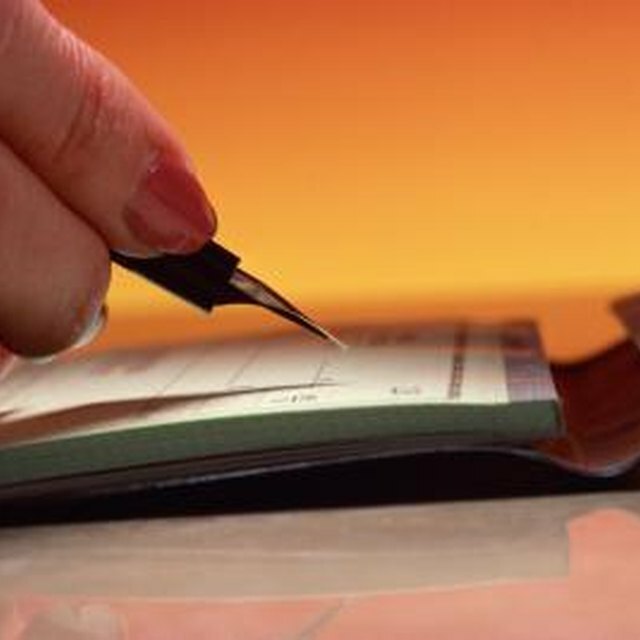 Subtract any outstanding checks or debits to ensure that your account does not become overdrawn. This will help you avoid any bank fees. Cancel any upcoming bill payments that will automatically come out of the account. Fill out a withdrawal slip with your name, account number and the amount you want to withdraw to clear your account. Use the figure you calculated in Step 2 to complete this step. Visit the bank with the withdrawal slip. Inform the teller that you wish to close the account and fill out the necessary paperwork.